SRSP - Computer lesson (Image courtesy of Martin Wright). Enertiva (Image courtesy of Ashden). Steamaco minigrid in Kenya (Image courtesy of Ashden). TGV- Howell Williams and dog (Image courtsy of Andrew Aitchison). 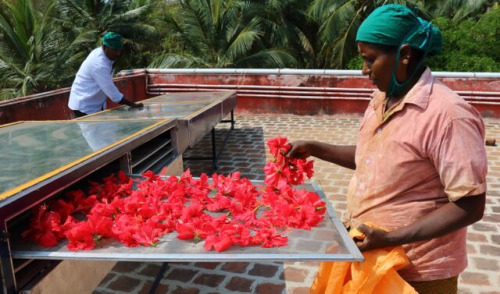 Loading flowers at Aravind herbal labs, Rajapayalam (Image courtesy of Martin Wright). Demand Logic (Image courtesy of Andrew Aitchison). Across the world 1.5 billion people lack access to electricity and this impacts on everything from health to employment to education. Many of those without access to this essential resource live in rural areas of the developing world where lack of power is trapping people in poverty. Without electricity communities cannot easily grow businesses or trade outside their local area, they cannot store vaccines and other medical essentials safely and young people are unable to accelerate their learning through technology. And, most frustratingly of all, once the sun goes down both work and study have to stop. While it’s clear that access to electricity is key to moving communities out of poverty, the world is currently facing the threat of the catastrophic consequences of looming climate change and it is becoming increasingly apparent that business as usual is not an option. If electricity is to be rolled out to these remote, off-grid communities, dirty fuels must be out of the question. It is becoming clearer that some kind of green energy revolution is needed, and this is where this year’s Ashden Award winners come in. 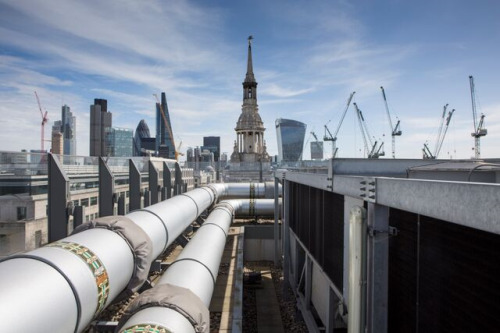 Ashden is a charity that champions and supports sustainable energy leaders in their work to accelerate the transition to a low-carbon world. Since 2001 Ashden has been honouring sustainable energy trailblazers at the annual Ashden Awards ceremony. This year’s Ashden Awards were presented to 11 winners who are all using innovative approaches to tackle climate change. Four of these winners are harnessing the power of nature to bring green electricity to remote, rural communities across the world and, in the process, are proving that a green revolution is not just possible, it is financially viable. Kenya-based SteamaCo is a cleantech company which has developed a way of managing solar microgrids remotely. Their work won them the Ashden Award for Business Innovation, supported by Citi, and also secured the prestigious 2015 Ashden Gold Award. Around 80% of Kenyans lack access to mains electricity and SteamaCo is helping to bring clean energy to increasing numbers of off-grid customers. 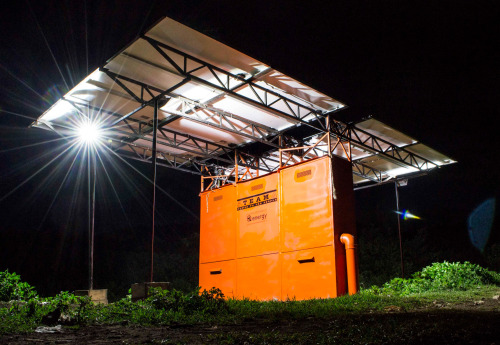 Harnessing the power of the sun, which is in plentiful supply in Kenya, SteamaCo’s microgrids work like mini power stations. The grids supply domestic energy, powering TVs and radios and lighting up homes, and are also powerful enough to support small businesses. For SteamaCo’s business model to be sustainable, the company must ensure that they have a mechanism for collecting payment from customers, which is low cost and efficient and can be used in the remotest of environments. To tackle this problem the company has developed an innovative cloud-based metering and payments system that monitors energy use, lets people pay for power using their mobile phones, and quickly troubleshoots any problems. All it needs to run is a mobile phone signal, meaning that the microgrids can reach communities living in remote regions across Kenya, from mountains to savannah. The system can both cut supply when payment isn’t forthcoming and monitor energy for customers to help them to keep their costs down. And it is helping to bring reliable, clean energy to customers who are unlikely ever to be connected to the grid. Costa Rica-based Enertiva is also doing pioneering work in the area of solar power. Enertiva won the Ashden Award for Energy and Agriculture, supported by the Waterloo Foundation, for their work adapting solar heaters for use in dairy farming. Hot water is essential for dairy farmers, without it the cleanliness and hygiene of milk production plants is compromised. However the cost of electricity is very high in Costa Rica meaning that heating water can become a major expense for dairy farmers in the country. To help solve this problem Enertiva has developed solar powered water heaters especially for use in dairy farms, which provide hot water for washing milking equipment and milk tanks. The solar power is far less costly than grid-supplied electricity and has the added benefit of slashing the farmer’s carbon emissions. A potential barrier to take-up is the significant upfront cost of the equipment, which is prohibitive to many dairy farmers. 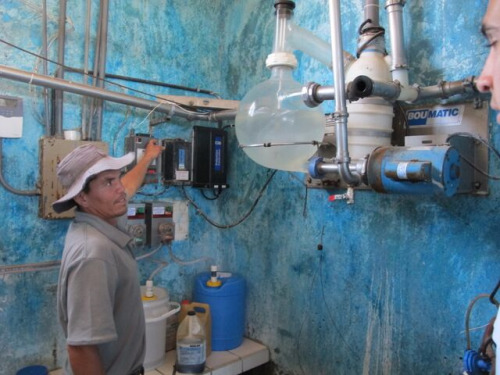 To solve this problem Enertiva has teamed up with milk-purchasing cooperative Dos Pinos, which lends the farmers the money to buy the heaters. Thanks to the savings that the farmers make on their electricity bills, they are able to pay their loans back within a year, and after that, 100% of the savings go directly to the farmers. Enertiva now has 335 systems in 294 dairies across Costa Rica, and is playing a significant role in making the Costa Rican dairy sector more sustainable – and helping the country to move closer to its 2021 goal of carbon neutrality. They may be separated by a distance of almost 4,000 miles but Pakistan and Wales both have areas with the ideal conditions to support hydro electricity. 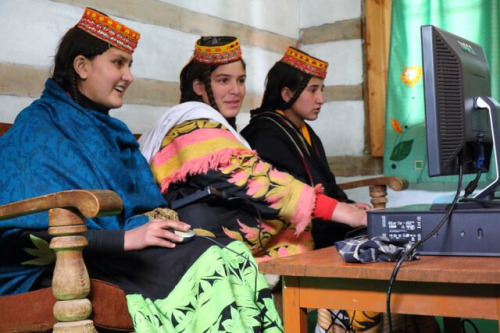 This year Pakistan-based Sarhad Rural Support Programme (SRSP) and TGV Hydro, a Welsh community-owned not-for profit company, were both honoured for their work bringing hydro power to rural communities. SRSP won the Ashden Award for Increasing Energy Access, supported by the IKEA Foundation, for their work with communities living in one of the world’s most remote, dangerous and inhospitable environments. In the mountainous Khyber Pakhtunkhwa region of Northern Pakistan many villages have no mains electricity and life grinds to a halt after sunset. But since 2004 SRSP, a local NGO, has built 189 micro-hydro schemes, bringing electricity to around 365,000 people. And it has transformed communities in the process. Electricity makes studying easier and health care safer, while appliances like washing machines reduce the drudgery of housework. And access to power has enabled a multitude of new businesses to start up, from flour mills to hotels, from olive oil presses to food processing, and from tailoring to cold drinks vendors and beauty parlors. Cell phone towers and telephone exchanges have sprung up and people now have accesses to TVs and computers. Now, with better business opportunities and better communications with the outside world, young people are more likely to stay in the villages and the communities themselves are starting to thrive. A continent away, TGV Hydro is also making rural life more sustainable. TGV Hydro is a community-owned not-for profit company which is installing micro-hydro electricity schemes across South Wales. The company won the Ashden Award for Community Energy, supported by the Esmée Fairbairn Foundation. 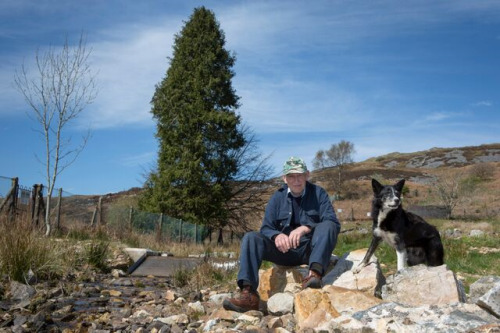 With an abundance of hills and streams, rural Wales is the ideal location for generating sustainable electricity from hydro power, however, many potential sites are too small for the big hydropower developers to touch. TGV Hydro, wholly owned by The Green Valleys CIC, is filling this gap by developing micro-hydro projects for private and community ownership across South Wales. Local labour is used to build projects where possible, bringing jobs to an area which has been hit hard by the recession, and TGV has helped a new manufacturer of hydro turbines to start up. TGV Hydro has developed 23 micro-hydro sites so far and has ambitions to install many more. Customers can sell the renewable electricity generated into the national grid and the turbines are virtually invisible so have minimal impact on the land. The vast majority of TGV’s customers are hill farmers and these farmers are finding that the hydros are allowing them diversify their income. This extra income can be enough to keep their farms viable in an increasingly precarious context. Some farmers are making as much from their hydro as they do from their sheep and say that the security of knowing that they have a regular income gives them confidence that their traditional way of life can be sustainable. TGV Hydro’s work to promote renewable energy schemes is timely as Wales has recently committed to implementing a law to reduce its greenhouse gas emissions by at least 80%. TGV has worked with the local authority’s planning department to create a model for micro-hydro development in Wales. In this role TGV is set to become a key player in helping Wales to move away from fossil fuels and towards a low-carbon future. The increasing cost of extracting fossil fuels coupled with the falling costs of renewable energy production and storage means it now makes even more sense to invest in clean and efficient energy rather than fossil fuels. And, as these four winners illustrate, efficient energy solutions are already here. And that’s why Ashden is investing in supporting them to scale up and to spread their expertise to bring sustainable energy to the many more millions who need it. Jo Walton is Deputy Director and Head of Communications at Jo has also worked at environmental communications agency Media Natura and was previously Communications Director at the Media Trust. Ashden rewards, promotes and supports pioneering sustainable energy organisations that are transforming lives and tackling climate change. Since Ashden’s creation, its award winners have transformed the lives of more than 45 million people in the UK and developing countries.